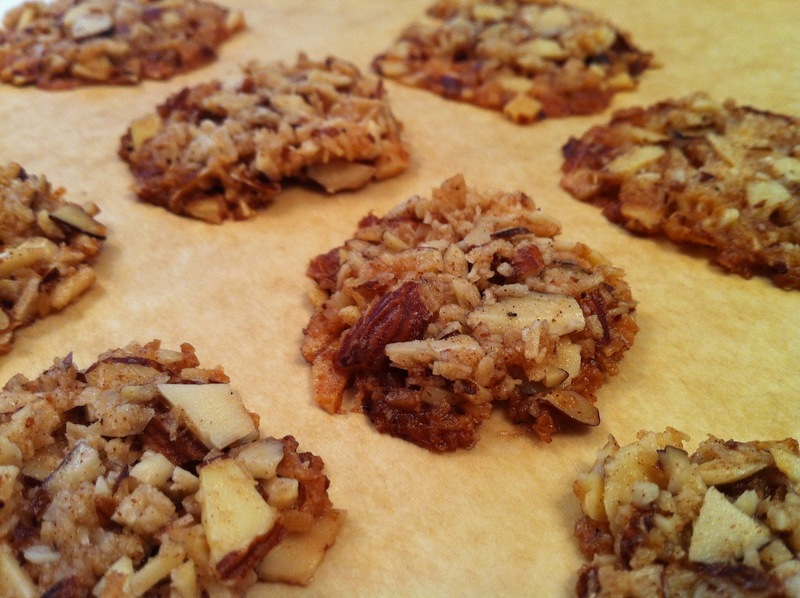 crunchy almond cookies | what is clara eating today? Mix all the dry ingredients to gather. Rub in the butter with your hand. Make four small piles of the mixture on a baking sheet lined with a parchment paper. Spread them out to a circle, making sure the ingredients are overlapping, but thinly spread out (about 1.5 inch diameter). Bake at 325 for 4-5 minutes. This was very yummy!! I’ve been looking for a “granola bar” recipe and this works! i think it’s a great idea that you used this recipe to make granola bar. i’ll have to try it myself!